Names: Nutkana is derived from Nootka; Nootka Sound is a waterway on the west coast of Vancouver Island in British Columbia that was named after a tribe that lived in the area. 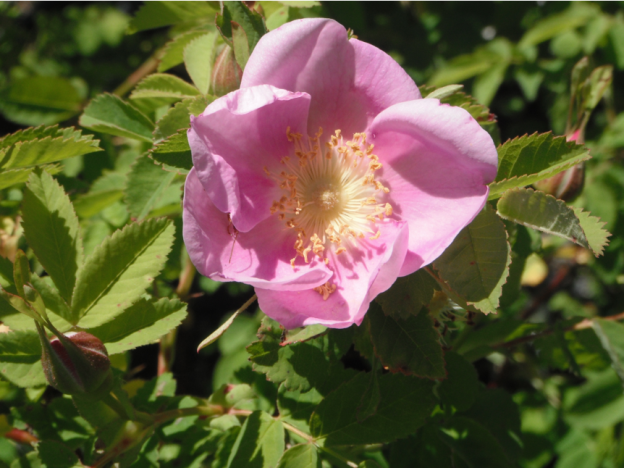 Nootka Rose is sometimes called Common, Wild, or Bristly Rose. There are four recognized varieties whose names suggest differences in bristling. Distribution: Nootka Rose is found from southern Alaska to the northern California coast; east to Montana in the north and northern New Mexico in the south. 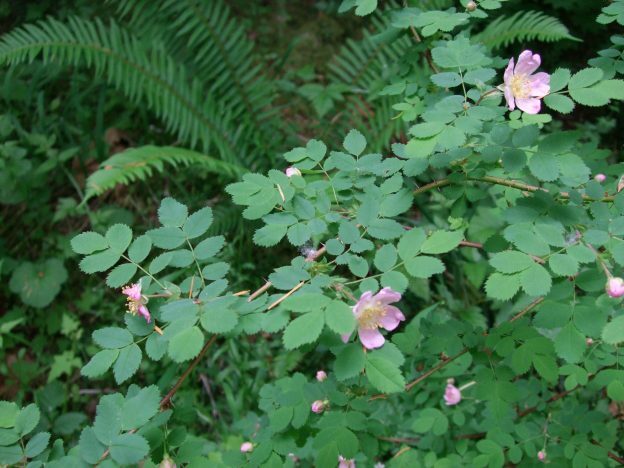 Habitat: Nootka Rose is found in a variety of habitats: shorelines, floodplains, streambanks, meadows, open forests and forest edges. Wetland designation: FAC, It is equally likely to occur in wetlands or non-wetlands. Rosa nutkana prickles are usually larger than Rosa pisocarpa prickles (which are usually more bristly). 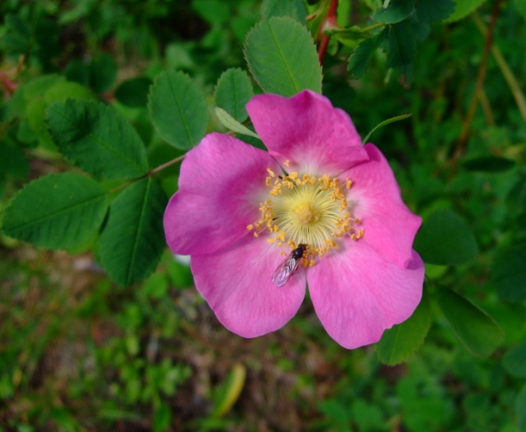 Diagnostic characters: Nootka Rose is very difficult to distinguish from the Clustered Wild Rose, R. pisocarpa. Both have pink flowers. 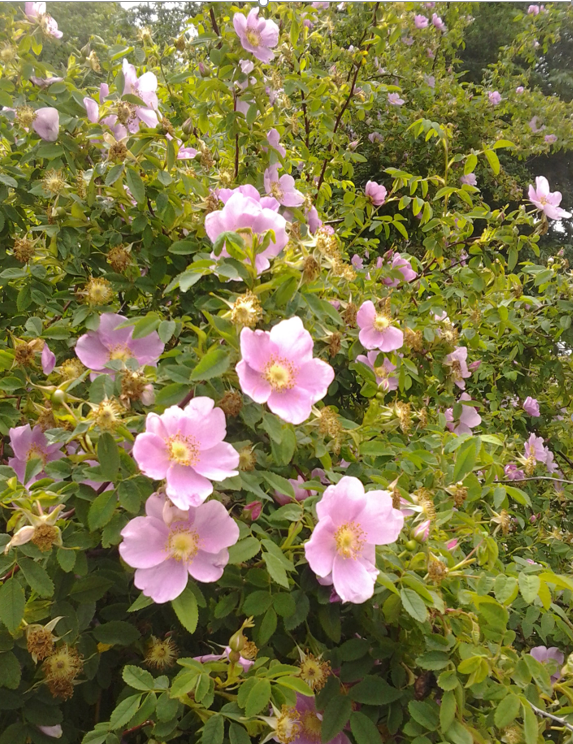 The major difference is that Nootka Rose has larger flowers that are usually borne singly (but sometimes in pairs or triplets) at the ends of branches. The stems of Nootka Rose are variously prickly; paired prickles arise at the base of each leaf. Leaves have 5-7 toothed leaflets, sometimes glandular, with more or less rounded tips. Fruits are relatively large (1-2cm), purplish-red hips. 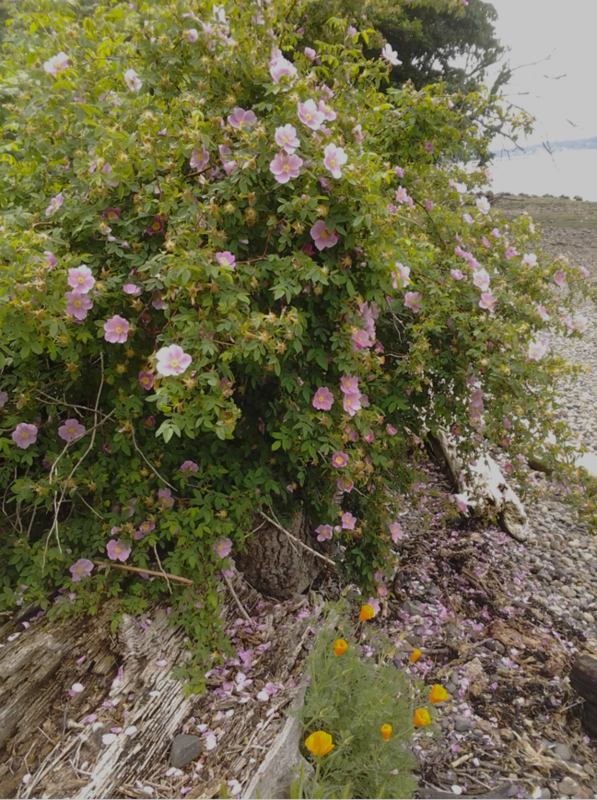 In the landscape, Nootka Rose is beautiful but can be aggressive. It is great as a barrier plant, growing into an impenetrable thicket. Its fragrance fills the air in a seaside habitat. It is valuable for stabilizing banks, especially along streams. Phenology: Bloom time: May-July; Fruit ripens: Early fall, persisting through winter. Propagation: Sow in fall or stratify at 40º F (4º C) for 140 days. Seeds may take two years to germinate; scarification and/or a warm stratification prior to the cold stratification may hasten germination. Division of the root crown and rhizomes is an easy method to propagate fewer, larger plants. 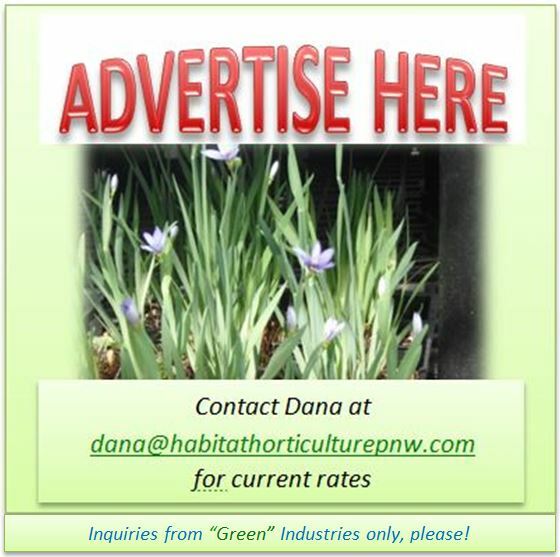 Cuttings of semi-hardwood or hardwood are possible. 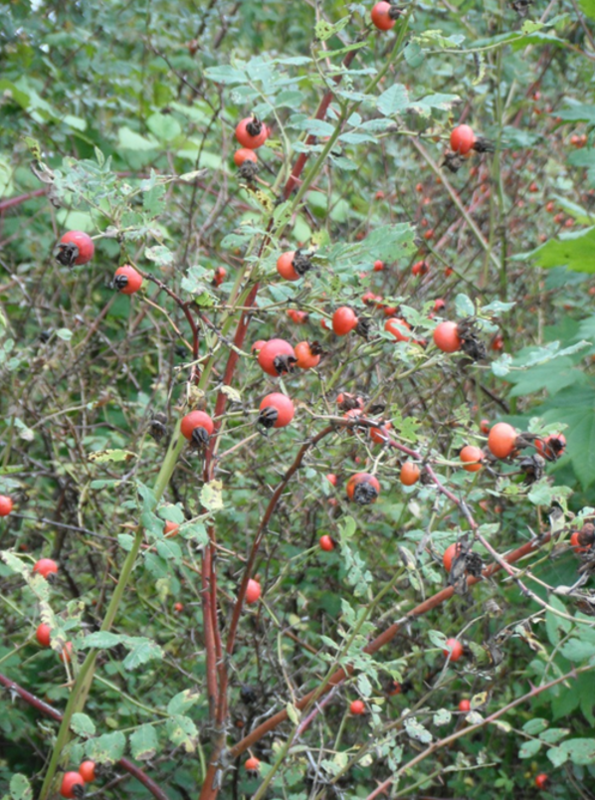 Use by People: Some natives ate the hips, raw or dried, or they boiled them to make a tea. The fruit tastes better after a frost. Care should be taken, however, there is a layer of hairs around the seeds (actually achenes); these hairs can cause irritation to the mouth and digestive tract. A decoction of the roots was used to treat sore throats or as an eyewash. The bark was used to make a tea to ease labor pains. 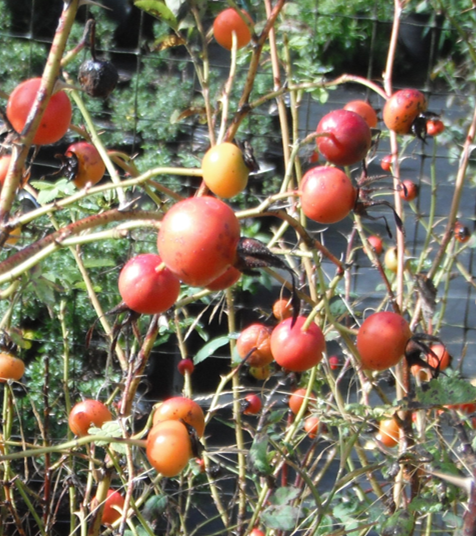 Rose hips are sometimes used to make jams or jellies; they are rich in vitamins, such as A, C, & E.
Nootka rose is important wildlife browse. (Roses are well known as “deer candy.”) Deer, elk, moose, caribou, bighorn sheep, bears, coyotes, and various rodents also eat the fruits. Squirrels, mice, beavers, and porcupines eat the twigs and leaves. 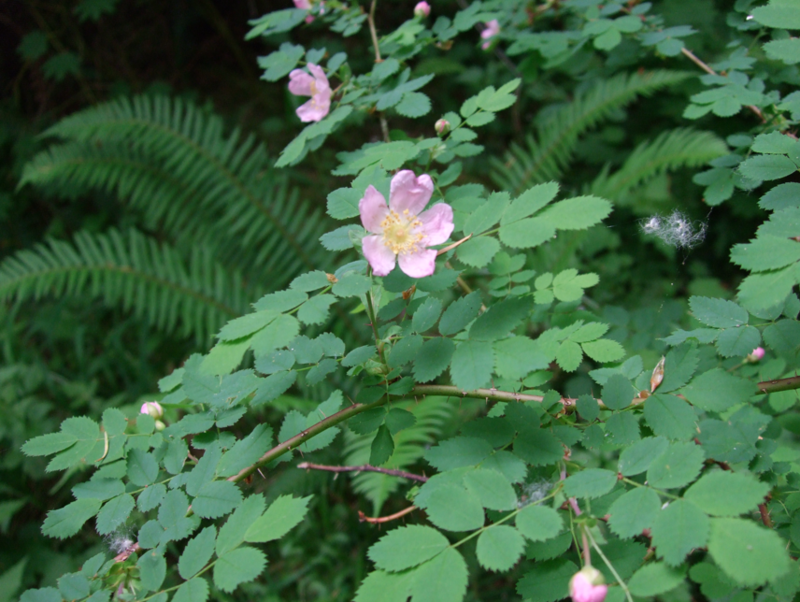 Nootka rose thickets are used for nesting and escape cover by birds, including waterfowl, and, small mammals. This entry was posted in Deciduous Shrubs & Vines on June 27, 2016 by habitatdana. 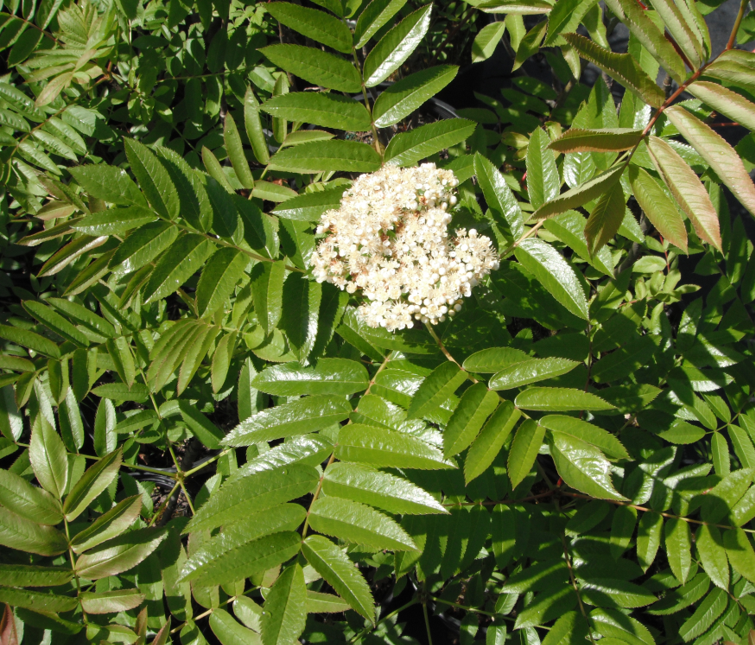 Names: Sitka Mountain Ash is sometimes called Pacific or Western Mountain Ash. Sitka is the name of a Tlingit tribe, and is also the name of a city in southeastern Alaska. The species name sitchensis is derived from Sitka. Relationships: There are about 100-200 species of Sorbus in the Northern Hemisphere. 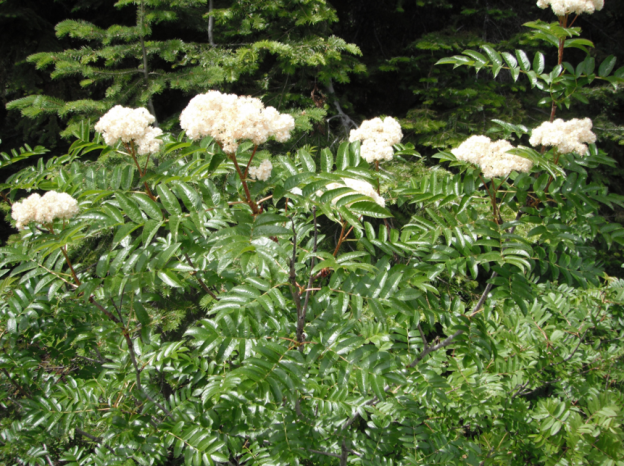 The genus Sorbus includes, Mountain Ashes (also known as Rowans), Whitebeams, and Service Trees. True Ashes belong to the unrelated genus, Fraxinus. The word Rowan is thought to be from a Norse word for tree, or a Germanic word meaning “getting red,” referring to its fall foliage color and berries. Rowans were important trees in celtic mythology; the wood was used for Druid’s staffs, magic wands and dowsing rods. Variety grayi differs from the species by having fewer serrations on the leaflets; it is toothed only above midlength, sometimes nearly entire. It is found only in the Pacific states from southern British Columbia to the Siskiyous in Northern California. Distribution: The species range extends further north and east from southeast Alaska to the Yukon Territory, Alberta, northern Idaho and Montana. There are intermediate forms where ranges overlap. 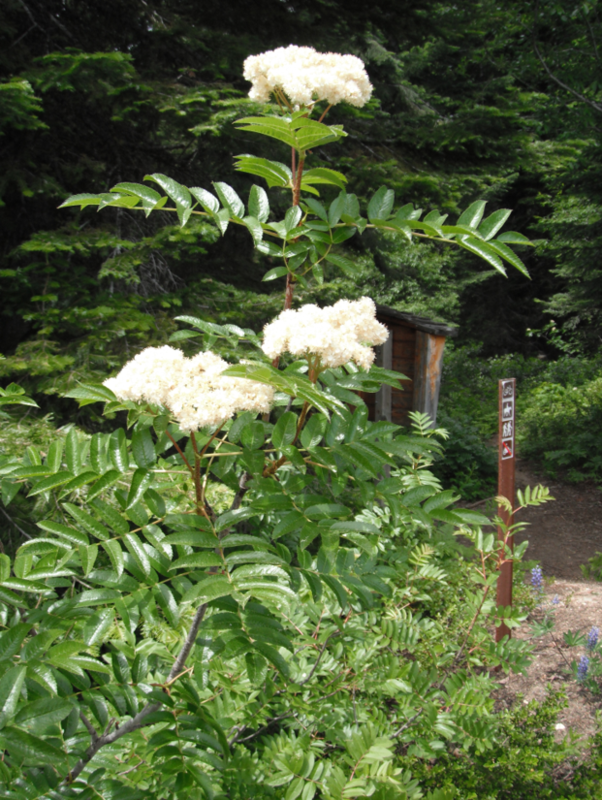 Growth: Sitka Mountain Ash grows 3-12 feet (1-4m) in open forests, clearings, streambanks, and avalanche slopes; often on drier, nitrogen-poor soils. In B.C., it is found from the sea coast to subalpine parklands; its occurrence increasing with increasing precipitation and elevation. Diagnostic Characters: Winter buds and young growth are covered with rusty-red hairs and are not sticky. Pinnately compound leaves have 7-11 bluish-green leaflets. Leaflets are rounded at the tip and coarsely toothed from ¾ of the margin to the tip – to nearly entire. White flowers are borne in round-topped clusters. Fruit are berry-like pomes, pinkish to orange-red, with a bluish or whitish bloom. In the landscape: It is best used on hillsides; fall is its best season with its yellow, orange or red foliage and showy fruit. It is useful for streambank revegetation projects. Phenology: Bloom time: June-July. Fruit ripens: September-October. Propagation: Seeds should be sown in fall or stratified at 32-40º F (4º C) for 90-120 days. Some recommend a warm stratification period for two weeks prior to the cold stratification period. Propagation from cuttings is difficult; layering or division may have better success. Use by people: The fruit is considered of poor quality for human consumption. It turns sweeter after a frost and has been used raw, in preserves or cooked in pies. 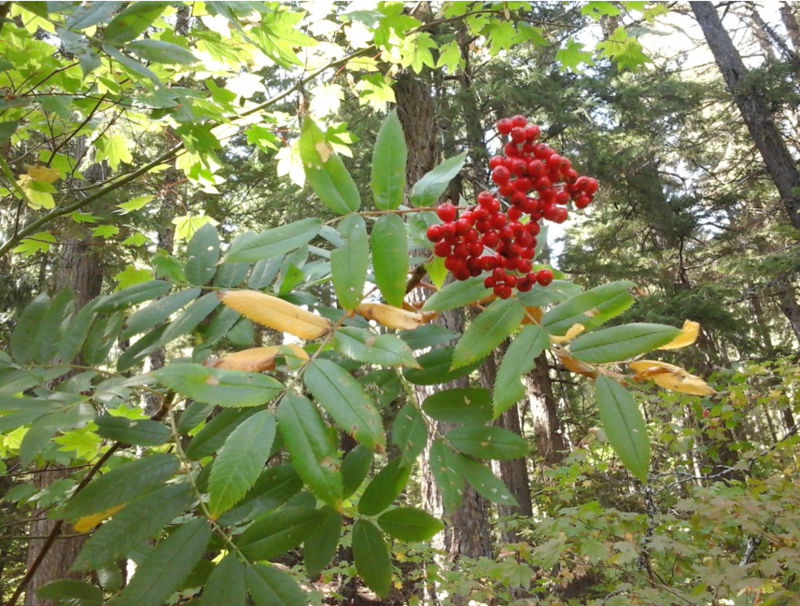 Use by Wildlife: Sitka Mountain Ash fruit remains on the plant until late winter, making it valuable as winter forage. It is important in the diet of many upland gamebirds, songbirds, and small mammals. The foliage and twigs are browsed by deer, elk, and moose. Black bear and grizzly bear also eat the berries, leaves, and stems. Flowers are pollinated by insects. This entry was posted in Deciduous Shrubs & Vines on June 13, 2016 by habitatdana. Names: Mountain Ashes also known as Rowans, Whitebeams, and Service Trees. True Ashes belong to the unrelated genus, Fraxinus. The word Rowan is thought to be from a Norse word for tree, or a Germanic word meaning “getting red,” referring to its fall foliage color and berries. Rowans were important trees in celtic mythology; the wood was used for Druid’s staffs, magic wands and dowsing rods. Scopulina means “of rocky places.” This species is also known as Rocky Mountain, Cascade, or Greene’s Mountain Ash, named after botanist, Edward Lee Greene. Relationships: There are about 100-200 species of Sorbus in the Northern Hemisphere and about half a dozen Sorbus species native to North America. Eurasian species have been introduced, become naturalized and interbred with native species; most notably, the European Mountain Ash, Sorbus aucuparia. 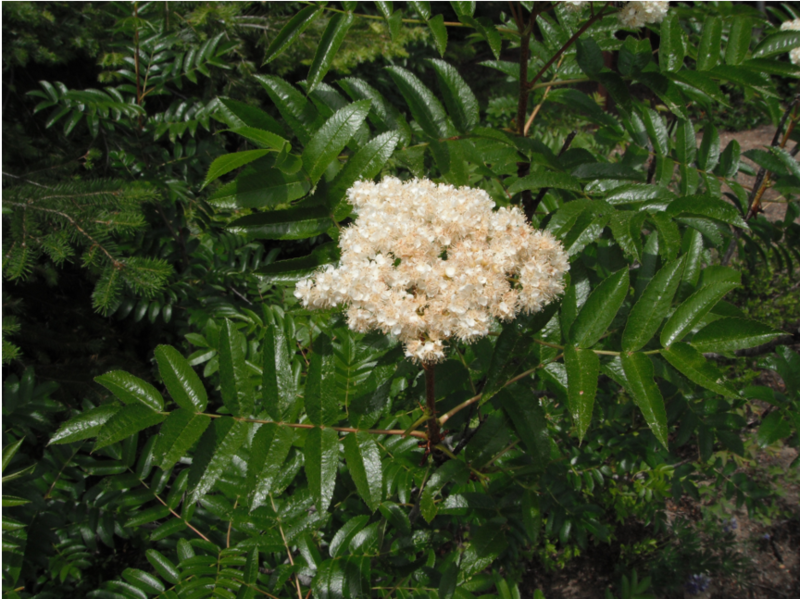 Variety cascadensis, Cascade Mountain Ash, differs from the species by usually having 11 leaflets or fewer, and persistent stipules, whereas var. scopulina usually has some leaves with 13 leaflets. Var. cascadensis occurs mostly on the west slope of the Cascades, the Olympic Mountains, and the Sierras. There are intermediate forms on the east side of the Cascades and in the Wallowa Mountains. Amelasorbus jackii, a cross between Amelanchier alnifolia and S. scopulina has been observed in Oregon and Idaho. The species occurs from Alaska to the Northwest Territories; to Arizona and New Mexico; and the Pacific states to the Dakotas. Habitat: It grows on rocky hillsides, open woods, and along streams; usually in small clumps. Wetland designation: FACU; it usually occurs in non-wetlands but occasionally is found in wetlands. Diagnostic Characters: Pinnately compound leaves have 9 to 13 leaflets and are yellowish-green, sharp-pointed, and finely toothed along most of the margin. Winter buds are white and sticky. Flowers are small and white in round to flat-topped clusters. Fruit are small, glossy, orange to scarlet, berry-like pomes borne in showy clusters. In the landscape: Our shrubby Mountain Ashes are most spectacular growing in clumps on hillsides. It is attractive when in bloom, but fall is its best season, with its yellow to peachy fall foliage and scarlet berries. Phenology: Bloom time: May-July. Fruit ripens: July-September. Propagation: Seeds should be stratified at 40º F (4º C) for 90-120 days. Some recommend presoaking the seeds for 24 hours. Semi-hardwood cuttings are best taken in late summer. 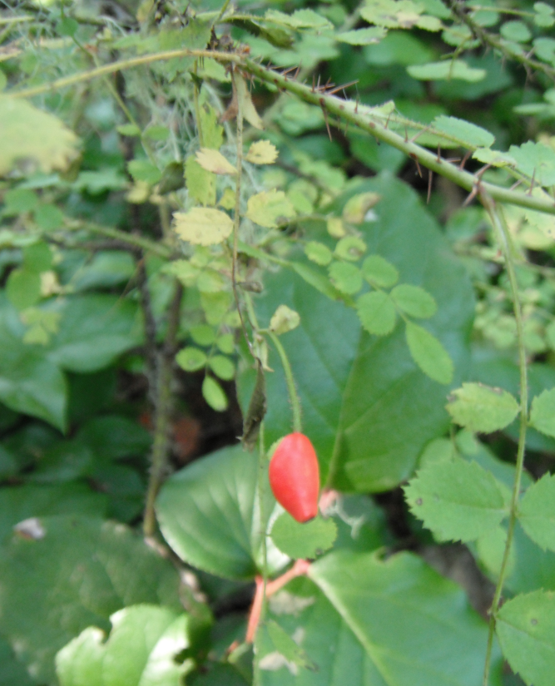 Use by Natives: Natives rarely ate these berries; but today they are sometimes used in pies, preserves, or wine-making. The fruit is sweeter after a frost. If eaten raw, they should be bletted, a process where they are kept in a cool, dry place and allowed to begin decaying or fermenting, similar to pears. Use by Wildlife: The fruits, eaten by grouse, grosbeaks, Cedar Waxwings and Douglas Squirrels, are valuable to wildlife due to the fact that the fruit persists on the plant through the winter. Moose, deer and elk browse the twigs and foliage. Flowers are pollinated by insects. This entry was posted in Deciduous Shrubs & Vines on June 6, 2016 by habitatdana. Names: The word Spiraea comes from a Greek plant that was commonly used for garlands. 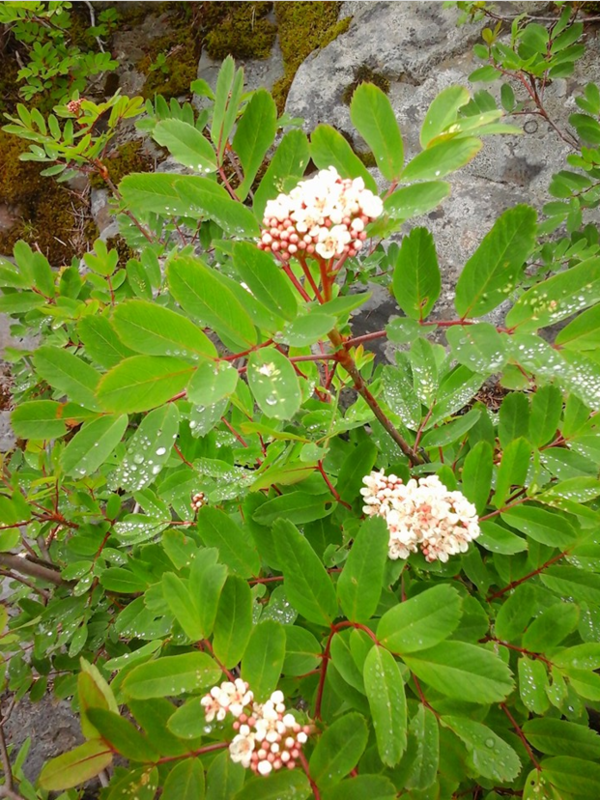 This species is also known as Spiraea densiflora. Splendens means shiny, densiflora means dense flowers. 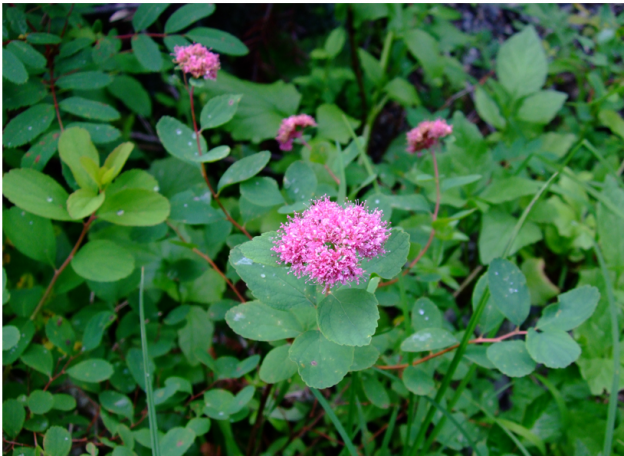 Subalpine Spiraea is also known as Rosy Spirea, or Rose or Mountain Meadowsweet. 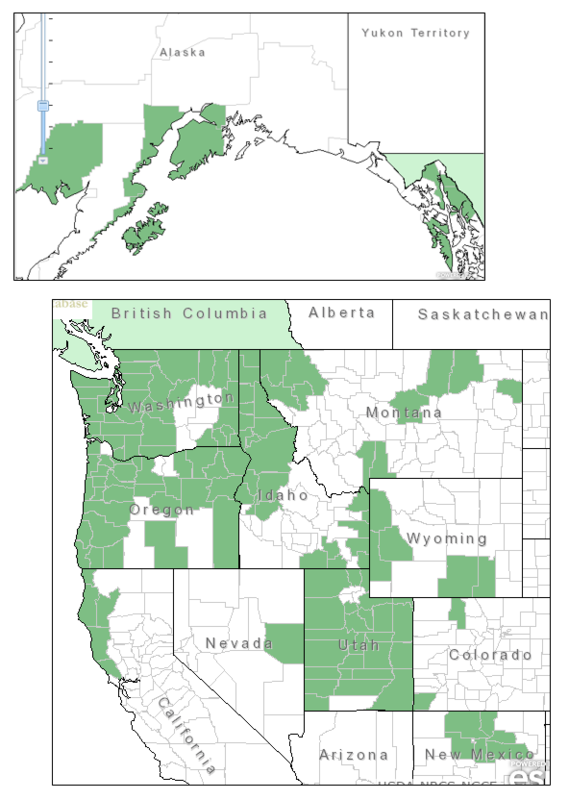 Distribution: It is found from southern British Columbia in the Olympic and Cascade Mountain Ranges to the Sierras in California and Nevada; eastward to the Rocky Mountains, Alberta, Idaho & Montana & Wyoming. 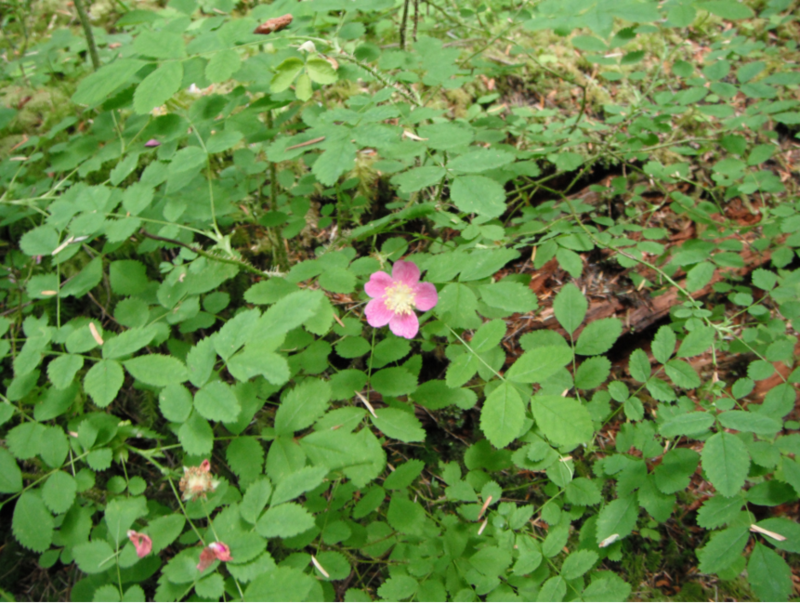 Habitat: It is found in moist meadows, on streambanks, and open, rocky slopes. Diagnostic Characters: This species has round to oval (toothed near the end), shiny, bright-green leaves; reddish-purple bark; and flat-topped clusters of pink to purplish flowers. 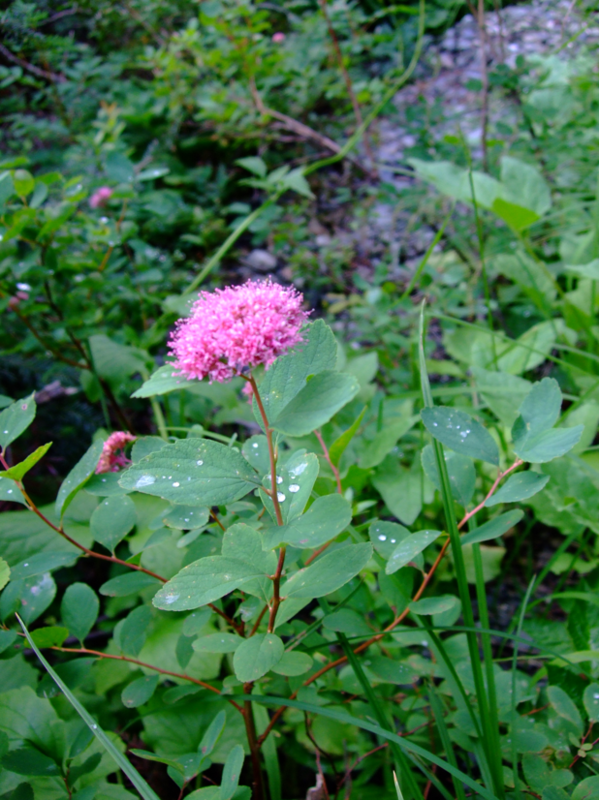 In the Landscape: Subalpine Spirea, with its bright pink flowers, is an attractive addition to the landscape. Flowers are sweetly scented, reminiscent of cloves. It is especially useful when a smaller shrub is desired. 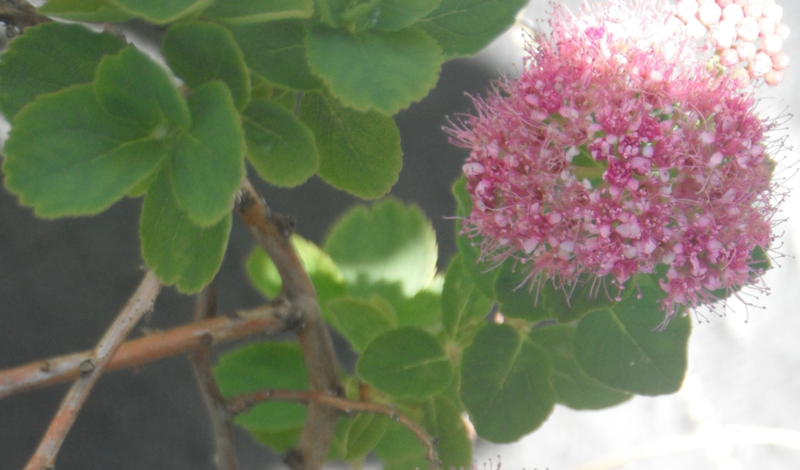 It has great potential for mixing with Shinyleaf Spiraea in borders or foundation plantings. Propagation: A 60-75 day cold, moist stratification. of seeds is recommended. Cuttings also are also possible. Use by People: Flowering stems were used as paint brushes, especially on the large spaces of teepees by the Blackfoot. 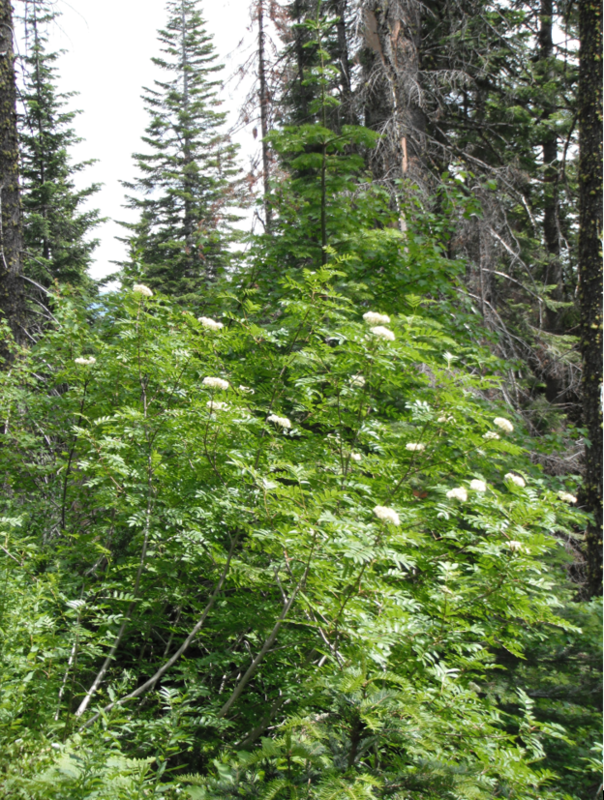 Use by Wildlife: Subalpine spiraea is considered a poor forage species and also does not provide good cover. But is possibly a good species for pollinators such as butterflies. This entry was posted in Deciduous Shrubs & Vines on June 1, 2016 by habitatdana.